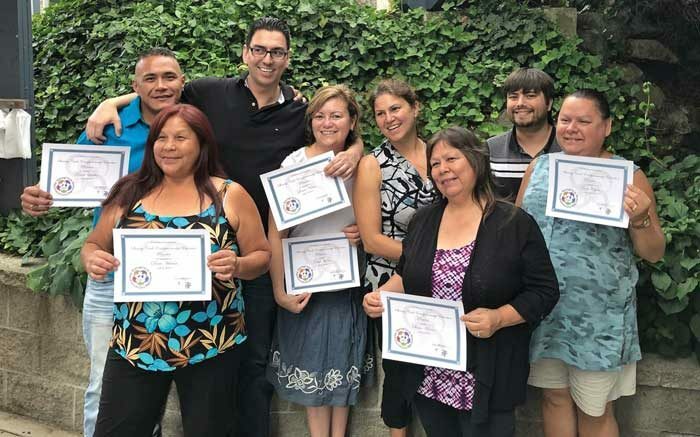 For one month, six entrepreneurs from Naut’sa mawt Tribal Council member nations attended a workshop to help take their ideas to the next level. The Sharing Circle Mentorship Entrepreneurship Program was held on weekends with facilitator Destenee Burrows at Tla’amin Nation’s Historic Lund Hotel. Naut’sa mawt Tribal Council partnered with North Vancouver Island Aboriginal Training Society to provide the training. The initiative provided training on how to market a business, create a business plan, and how to seek out and access funding for an Indigenous business. I was able to attend sessions, and Destenee was an inspirational facilitator. She provided the class with her own personal experience and kept the program on target with her energy. A huge shout out to Destenee for providing one of the best courses I have had the privilege to take part in. I also want to thank the Lund Hotel for the wonderful hospitality. This location was serene and beautiful and I cannot wait to go back again to enjoy the culturally-transformed resort.